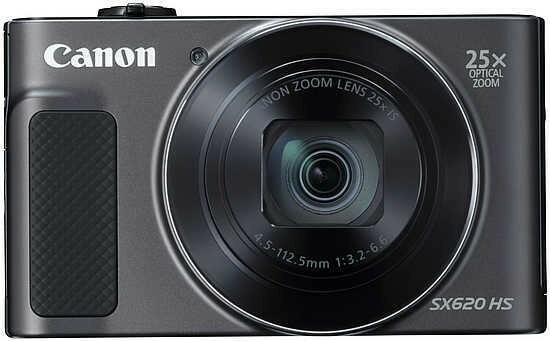 The Canon PowerShot SX620 HS is a decent enough digital camera, but one that is starting to look and feel its age, thanks in no small part to Canon's decision to essentially leave it unchanged since 2015's SX610 version. The biggest and almost only upgrade is a longer 25x zoom lens, up from the SX610's 18x optic, but as we criticised the SX610 in our review for not having a longer lens, Canon are still playing catch-up. That's quite apart from that fact that the market for this kind of camera has shrunk so much that we'd be surprised to see an SX630 HS any-time soon - despite offering better image quality and a longer zoom, most would-be users of the SX620 HS are happy enough with their smart-phones, especially when they find out that the SX620 HS doesn't have a touchscreen display and proves laboriously difficult to share photos.